If you're a parent of more than one child, you have probably told at least one of your children that you don't have a favorite. But what if you did? What if one of your children has a potential that you don't see in another one? What if that child could get out of a bad or poor or dead-end situation, could excel? How much would you do for that child? What kind of sacrifice would you make? Could you, would you, make a Sophie's choice, sacrifice Beloved, be Abraham in the face of something larger than just your own wants and needs? 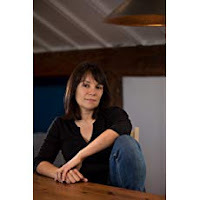 Claire Adam has written just such a story in her novel Golden Child. Clyde and Joy have twin thirteen year old sons named Peter and Paul. One night Paul, who has always been the less obedient, less present of the twins, doesn't come home. Angry and worried, his father stays up all night thinking on the trouble, large and small, this child has caused, planning how he wants to react when Paul finally does reappear. Except Paul doesn't reappear. The narrative then flips back in time to the birth of the boys. Peter's delivery is uncomplicated and easy while Paul was deprived of oxygen and the best guesses of the medical professionals witnessing his birth is that something is wrong with the baby. And so he grows up hearing that he is "slightly retarded," always knowing that Peter is incredibly smart, that Peter is something special, and is only held back because twins should stay together. Paul, meanwhile, struggles with school and with his image of himself, both in the shadow of his brother, who is always kind and caring with him, but also under the cloud of others' low expectations of his intelligence. Everything must be done to make sure that Peter reaches his potential; Paul's struggles are incidental. Their parents love both the boys but they cannot hide their loftier dreams for Peter as the boys grow. Then the narrative shifts once again to the days immediately following Paul's disappearance, showing not only what happened that night and those afterward, but also Clyde and Joy's decisions in the wake of this horrible situation. The story is devastating on many levels, from the setting of crime ridden Trinidad to the familial jealousy and betrayal that drives the action. Adam has drawn a corrupt and scary Trinidad, a place rife with gossip, dangerous in what is said publicly, but also a place where people come together to try and offer help. She has captured the underhanded anger over inherited money and the strife it causes within a family if it is not seen to be shared evenly. The knowledge of the way society and politics work in this small island nation is eye opening, leaving no doubt that the book must end the way it does. As for the aptly named Peter and Paul, like their Biblical namesakes, they are each martyred in their own ways. The book is heavy and hard but it is exquisitely done. 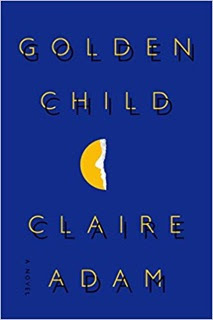 The framing structure of the novel makes the rising tension slacken at times, going from the worry of a missing child out all night to the day of their birth, but this is also an effective way of showing the reader the backstory on Clyde's perception of both of his sons. The third person narrative switches amongst Clyde, Paul, and Father Kavanagh, giving only a limited view of the family as a whole but this also effectively, narrowly focuses the story on a father facing an impossible choice, the gentle but unfavored child, and an outsider who tries but does not (can not?) understand. Most of the secondary characters are drawn very faintly, used primarily to show the deep and dangerous corruption in Trinidad except Father Kavanagh who seems mostly to be in the story to try and make Clyde see Paul differently and to be told exactly why Clyde's perception will never change. A novel of complex and tangled family dynamics, this is a heartbreaking story that will stay with the reader long after the last page has been turned. For more information about Elise Hooper and the book, follow her on Twitter. Check out the book's Goodreads page, follow the rest of the blog tour, or look at the reviews for others' thoughts and opinions on the book. Thanks to Lisa from TLC Book Tours and SJP for Hogarth for sending me a copy of the book for review. This sounds like a great book, thank you for being on the tour!